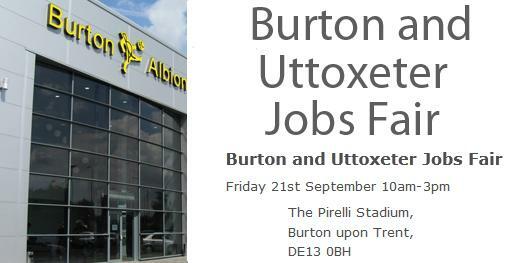 Burton jobs and careers fair will take place on Friday, 21st September between 10am-3pm. The event is completely free however you should register yourself for the job fair. Here is the address: The Pirelli Stadium, Burton upon Trent, DE13 0BH. There will be a free bus running from Uttoxeter. Andrew Griffiths, Burton & District Chamber, JobCentre Plus, Staffordshire Council. Its best to prepare well before the job fair. Bring copies of your CV in case they would like to see one. Be friendly and make eye contacts. Bring your proof of identity too in case you get an offer!